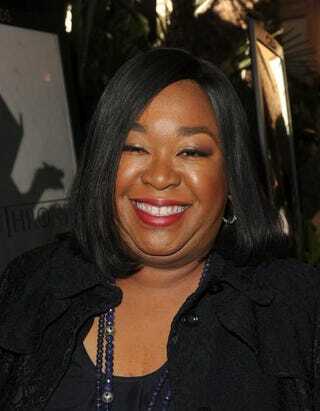 This fall, Thursday nights on ABC will belong to Shonda Rhimes. The network unveiled its highly touted fall schedule, and Thursday nights will now consist of shows from Shondaland Productions. The programming will kick off with Grey’s Anatomy at 8 p.m., which is a change from its usual 9 p.m. time slot. Gladiators will be pleased to find out that Scandal will return for a fourth season, this time at 9 p.m. As we all know, the show will return without Columbus Short or Kerry Washington’s baby bump, which was tactfully hidden most of last season. Scandal will lead into Rhimes’ newest show, How to Get Away With Murder, which stars the Tony Award-winning Viola Davis as a professor who becomes involved in a murder plot that sends a ripple effect through the university and her students’ lives. On top of ruling Thursday nights on ABC, Rhimes also tied her fate to the network for four more years. According to Deadline, Rhimes signed a four-year, eight-figure extension that will keep her at ABC Studios through May 2018. You know, if Rhimes keeps this up, they might as well name the network after her. I think “Rhimes Broadcasting Corp.” doesn't sound too bad.